Eight out of 10 Americans will experience debilitating back pain, according to Time.com, but a massage can help. 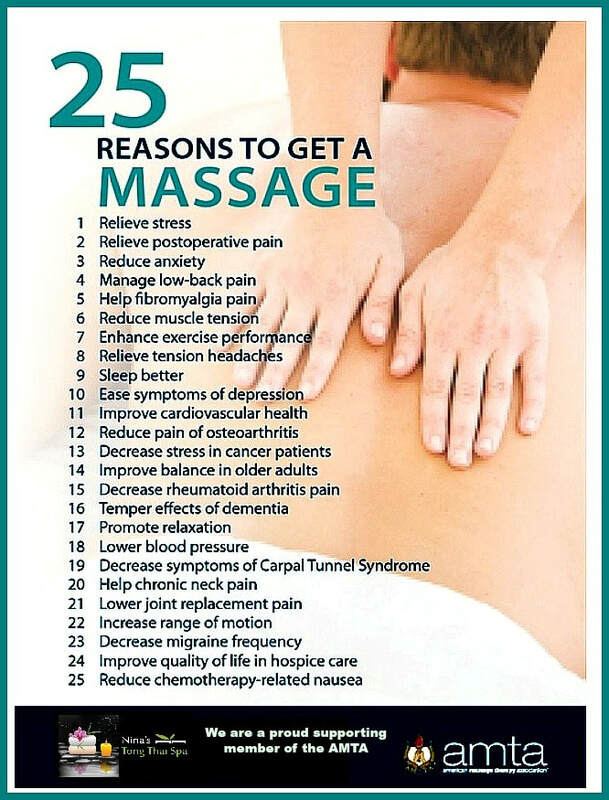 According to a 2011 study, massage helped people in pain feel and function better compared to people who didn't receive any massage treatment. Massage has also been linked to decreased stiffness and pain, as well as better range of motion in people with osteoarthritis. If you've ever dozed off on a massage table, you don't need to be convinced that a massage can promote healthy sleep. A number of studies have examined this link, and chalk it up to massage's affect on delta waves, the kind of brain waves connected to deep sleep, according to Health magazine. In one 2010 study, researchers found massage increased a person's disease-fighting white blood cells. 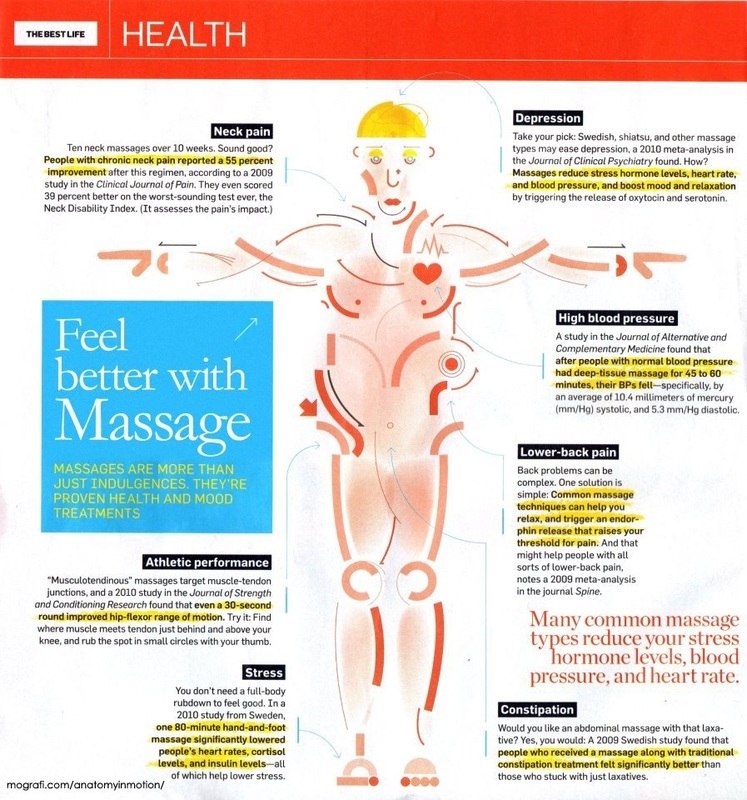 The stress-reducing powers of massage can also help keep you healthy. Just like muscle and back pain, headaches can also be alleviated thanks to massage. A regular rubdown can reduce a person's number of migraines, according to WebMD, as well as limit how painful each migraine feels, according to the TRI. A 2009 study found that a 30-minute massage decreased pain for people with tension headaches, and even curbed some of the stress and anger from those headaches. Want to boost your brainpower? Adults who were given a 15-minute chair massage in a small 1996 Touch Research Institute (TRI) study were more alert and completed a series of math questions faster and more accurately.